A 40 Kilometer long channel connecting Lake Edward and Lake George called the Kazinga Channel is a place where you can take a boat ride and see a wonderful array of wildlife. Here you will find the largest concentration of hippos in Africa. 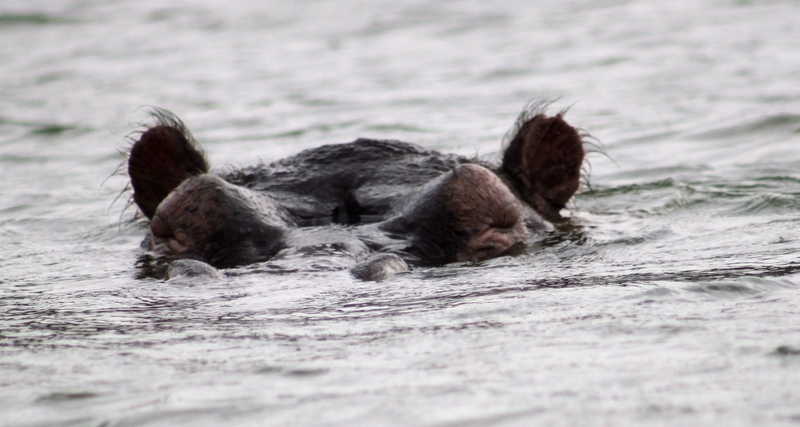 The hippos keep themselves cool by staying in the water during the day and graze on land at night. They can stay under water for up to 5 minutes. These large mammals can live up to 40 years of age. In 2004, 2005 and in 2010 many hippos died of anthrax poisoning. We tend to think of anthrax as a tool of terrorism but animals grazing during the dry season are exposed to anthrax outbreaks through ingesting or inhaling the spores. There were so many waterbuck, cape buffalo, warthogs, elephants and crocodiles and a large variety of birds. The Nile Crocodile is the second largest reptile in the world. Hamerkops build nests that can weigh up to 25-50 kilograms and measure up to 2 meters wide and deep. It can take up to 10,000 sticks to build a nest. Red Billed Oxpecker. They make their nests with hair of animals. They eat blood filled ticks from large animals but they prefer blood and will feed on it directly from an animal’s wound. A large wading bird that stirs up the water with one foot to stir up prey then quickly catches it in the water. Es war wirklich erstaunlich die ganzen Tieren und Vogel zu sehen in ihr natürliche Umgebung! Thanks- it is always a great privilege to be able to see and photograph wildlife. I haven’t seen much wildlife yet though! But I enjoy it every time there’s a close encounter with one of those gorgeous creatures.